Preparations well underway now for ALL2014, with plans being hatched for performances, panel discussion, guided tours and more. Very much looking forward to ALL artist Elizabeth Murton hosting an Engine Chat Chat Tea Party at Waterstones on Saturday 18th October, which will be an opportunity for six ALL artists to talk about their work and receive feedback and comments from fellow artists and members of the public alike. Full details of our programme of events to be published in due course. 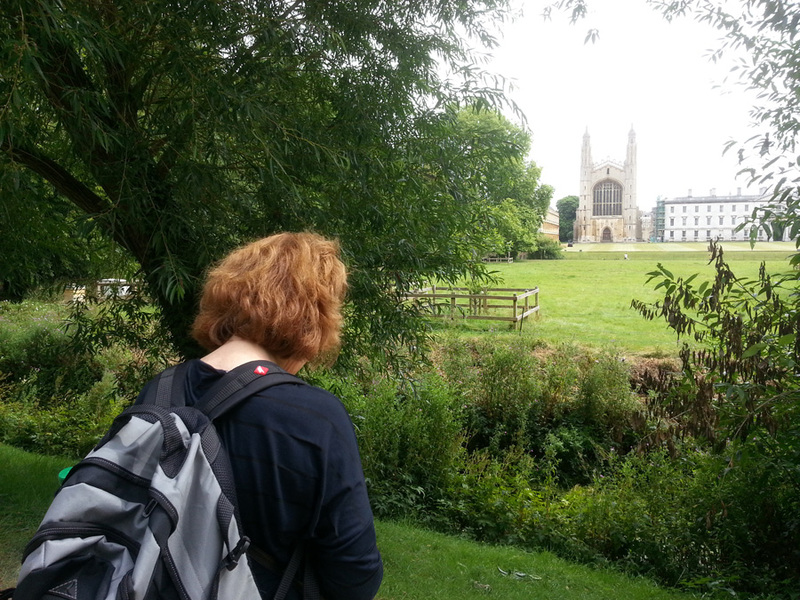 Elsewhere in dispatches, special mention to BA Zanditon who has visited Cambridge several times already this summer for her researches into Gwen Raverat’s walks around the city, and it has been lovely to meet up with many other artists besides, including Anna Berry, Tara Tate and Rossella Emanuele. A real sense that creativity is in the air; let’s hope so! Above: BA Zanditon works out the location for a sketching expedition as described in Gwen Raverat’s memoir Period Piece.